Elderly man from central Uzbekistan. Photo by Lageroth, Wikipedia Commons. Uzbekistan is continuing to push forward its key policy of opening the country up for tourism by relaxing visa rules for a host of countries. Nationals of 39 countries can now obtain visas through a simplified procedure, while those of seven others – Israel, Turkey, South Korea, Japan, Malaysia, Indonesia and Singapore – will be able to stay in Uzbekistan for 30 days without a visa. 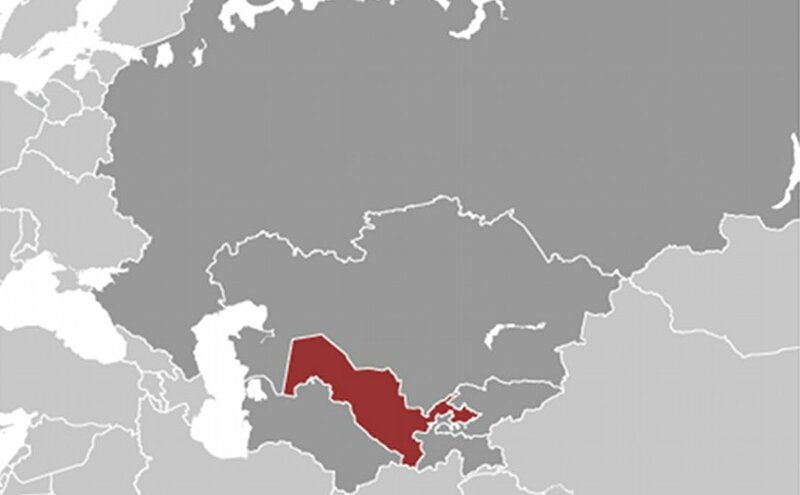 Location of Uzbekistan. Source: CIA World Factbook. President Shavkat Mirziyoyev, who replaced his authoritarian predecessor Islam Karimov in December 2016, has made tourism promotion a strategic part of much-anticipated reforms. The tourism potential is certainly there. Uzbekistan has a wealth of historical monuments, not least the towns of Bukhara, Khiva and Samarkand which were the capitals of powerful kingdoms for many centuries. In 2017, Uzbekistan was visited by 2.7 million foreign citizens, although only a tiny minority were tourists. According to the State Tourism Committee of the Republic of Uzbekistan, the travel industry accounts for 2.3 per cent of national GDP, a figure which they forecast could reach five per cent. Karimov, who died in September 2016, was a ruthless leader who had ruled with an iron fist for 27 years and there has been much speculation over whether Mirziyoyev truly intends to open up one of the world’s most isolated states. Soon after he took office in December 2016, Mirziyoyev decreed that tourism would be a government priority and announced that an ambitious visa-free regime for a range of countries in Europe and Asia would be introduced from April 1, 2017. However, this was delayed due to objections from the National Security Service, in what some analysts interpreted as an internal power struggle. Uzbekistan has visa-free regime agreements with the majority of CIS countries, although it has always been a closed-off country. Strict police controls made it particularly unattractive for tourists during the Karimov era, and part of his successor’s campaign has involved changing this image. Previously, all foreign nationals had to register at a local police station within three days of arriving at their destination. Now this registration will be performed by hotel staff or the visitor’s host. According to presidential decree, the interior minister will now have a special deputy responsible for both the security and comfort of tourists. The National TV and Radio Company and the ministry of culture have also been tasked with launching an international advertising campaign. National carrier Uzbek Airlines has cut the cost of air travel, with a return ticket from Bishkek to Tashkent costing 150 US dollars, compared to 220 dollars in the past. The Uzbek ambassador to Kyrgyzstan, Komil Roshidov, said that his country now allowed visitors to “take pictures of everything” rather than trying to tightly control what tourists saw and recorded. Towns popular with would also be provided with free Wi-Fi, he continued. According to Roshidov, it now takes 20-30 minutes to pass through border control in Tashkent airport, compared to one and-a-half to two hours in the past. “Last year the town of Samarkand was visited by 1.25 million tourists. Of them, 249,000 were foreigners. They spent 62 million US dollars – when the Samarkand region receives around seven million from cotton production. Now you can see why [tourism] is a strategic area,” Roshidov said. Some remain sceptical of how far these aims will be achieved. A journalist based in Bukhara, who asked to remain anonymous, said that while work had already begun on revamping the city’s historic sites, progress had been haphazard. Others note that opening up the tourism industry would not supersede other important revenue streams. Central Asia expert Sheradil Baktygulov noted that Uzbekistan had had a well-established travel industry back in the Soviet period. However, he said that Uzbeks should be realistic as to how far tourism could impact on the economy. Cotton, for instance, was an Uzbek product that was an important source of foreign currency, he continued. According to official data, Uzbekistan earns around 500,000 dollars in cotton sales each year, and in 2017 this sector accounted for 3.5 per cent of a total 14 billion dollars in exports.